Reports of the country’s first African swine fever case in China’s Liaoning province sparked increased inspections at pig farms and markets and beefed up the scrutinizing of hog transportation. 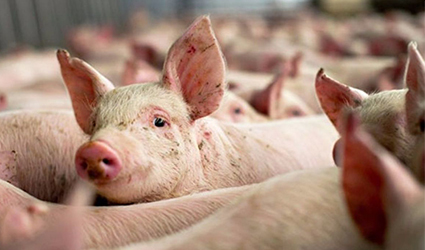 The African swine fever outbreak puts the hog farming industry in the province and the entire country in great peril, and must be exterminated scrupulously, an official from Liaoning Provincial Bureau of Animal Health and Production said, according to Liaoning Daily. The provincial government has instructed local heads to initiate emergency inspections at all pig farms, hog markets, slaughterhouses and harmless treatment locations in the province, and note any instances of pig deaths owing to unidentified reasons, butchered pigs found with splenomegaly or splenic haemorrhage, and immune failure amid pigs post swine fever vaccines, reported the paper, quoting the animal health bureau. A provisional shutting of all live hog markets and slaughterhouses in Shenbei district has been ordered, where the outbreak was revealed, the paper reported. About 913 hogs were culled near Shenyang, the capital of Liaoning, and forbid shipping of hogs from the affected areas, after the outbreak. Transport of Hogs and products in Shenyang is restricted within the city and those shipped from exteriors must undergo stringent quarantine, the animal health bureau official said. This being the first case in East Asia has raised concern about its spread in China, which possesses the world’s largest pig herd, and probably to adjacent countries in Asia.